Let me preface this by saying that I have nothing against Velveeta or Lil’ Smokies. We even ate the latter last year while we watched the Super Bowl, and I recognize that Velveeta is an integral part of everyone’s favorite RoTel-infused Queso dip recipes. I can wax nostalgic about eating these things while watching huge men bash their heads against one another and the ground. 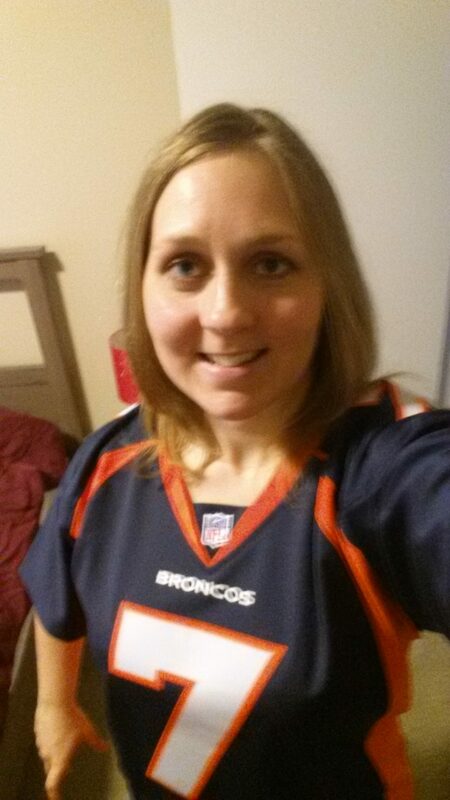 I also fondly remember devouring those X’s and O’s Cheetos that we ate while watching the Super Bowl back in 1999—the only interesting thing about that game since Denver wasn’t back for a third championship in a row. This year, while those of us who will be watching the Super Bowl are filled with hate for the Patriots (of course), there will be cheese to keep us going. And salami. And nuts. And some other things. I’ve got a few ideas for what those other things ought to be, and for what you should use to deck out your cheese plate. No matter how you feel about football, half-time shows, ridiculously expensive commercials, the Atlanta Falcons, or Gisele Bündchen’s husband, we can all agree that the Super Bowl deserves Super Snacks. Queso dip is really not that far off from fondue: you get some molten cheese, and you dip things in it. For the Super Bowl, you can either go for a classic Emmental-and-Gruyere fondue with bread, veggies, and sausage slices for dipping, or you can try a beer-and-cheddar fondue instead. In a medium saucepan, sauté two to three cloves of garlic and one shallot or small onion over medium heat in enough olive oil to coat the bottom of the pan. Once the garlic and onions are fragrant, add one cup of the beer of your choice (like a nice lager or red ale that you won’t mind finishing off). When the beer is warm (two minutes or so), reduce the heat to low and add one tablespoon of all-purpose flour and four cups of shredded cheese. 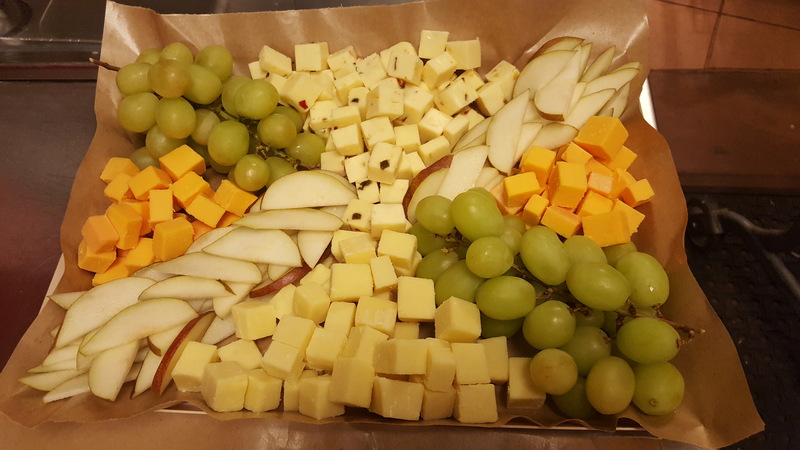 You can do a mixture of mild cheddar and sharp cheddar, or white cheddar and smoked cheddar, or cheddar and smoked gouda, cheddar and pepperjack, white cheddar and orange cheddar, or whatever you want; be creative. Season the mixture with one teaspoon of mustard powder, ¼ teaspoon of paprika (or, if you aren’t using smoked cheeses, try smoked paprika), ¼ teaspoon of cayenne pepper, ¼ teaspoon of chili powder, and salt and pepper to taste. Stir constantly until all of the cheese is melted and the ingredients are well-mixed, then transfer the fondue to your warm fondue pot and dig in! 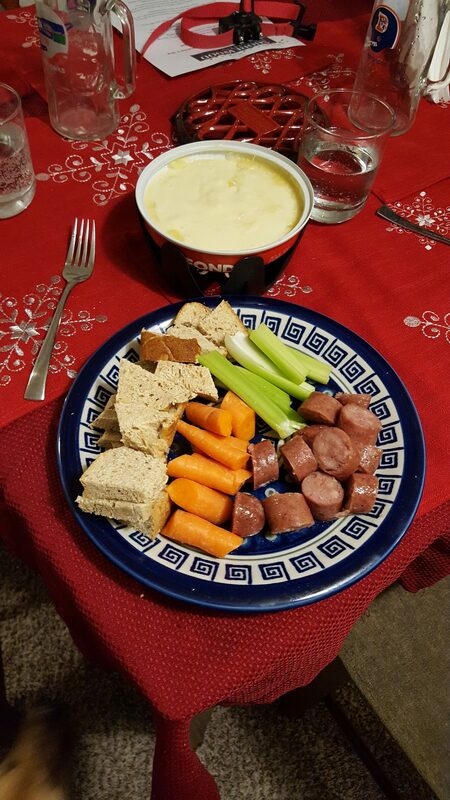 I recommend dipping in small baguette slices or crispy grissini breadsticks, baby carrots and celery sticks, snappy Nurnberger brats or slices of Italian sausage/sausage-of-your-choice, and even broccoli and cauliflower florets. 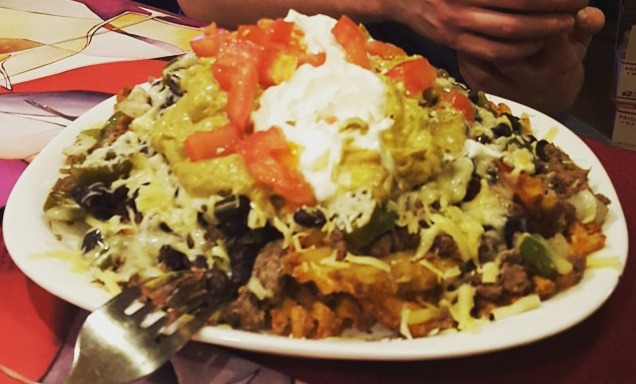 Forget tortilla chips; oven-crisped waffle fries make the best mountain for your snowcap of cheese and toppings. Any frozen waffle fries from the grocery store will do. Heat them according to the directions, until they are nice and crisp. No soggy waffles here, folks! While the hot, crispy waffle fries are still on their pan, mound them up and cover them with seasoned ground beef (or ground tempeh or vegetarian “ground crumbles” if you prefer). Don’t forget the sliced black or green olives and pepperoncini or Mama Lil’s Kickass Peppers. You can even throw on some sautéed bell peppers, onions, and mushrooms for good measure and good health. Then top it all off with shredded and crumbled cheese galore. I’m currently imagining shreds of Ford Farms’ Coastal Cheddar and Carr Valley’s 4-Year Cheddar, crumbled Carr Valley Glacier Wildfire Blue, and crumbles of Laura Chenel’s Spicy Cabecou along with all of the jalapeño oil from the container. Broil the whole thing until the cheese gets super melty and slightly browned. Let it cool off enough so that you don’t burn your tongue, squeeze some lime juice all over your nacho mountain, and enjoy! 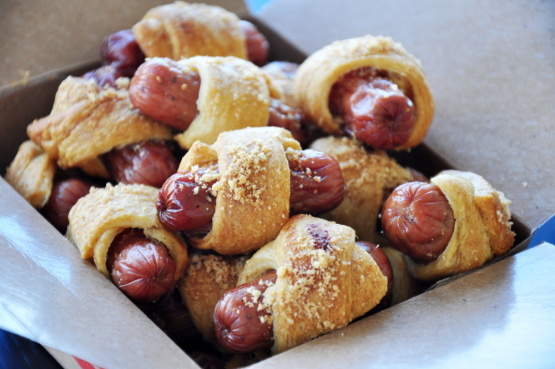 If you’re going to get Lil’ Smokies or some other baby wieners, or even fancy little chorizo nuggets or something from your local cheese shop, then you might as well wrap them in pastry dough á la pigs in a blanket (I’m not going to judge you if you use the crescent rolls from a can). And if you’re going to go to all that trouble, you might as well lay a piece of cheese on your dough before you place the baby wiener on it. Cheddar, goat cheddar, manchego—heck, even a nice slather of brie, triple cream, or chèvre. You might as well even throw in a slice of jalapeno or marinated hot pepper before you wrap it all up. Heat it and eat it. Meat + cheese + bread + vegetable (sort of) = Super Bowl finger food no brainer! 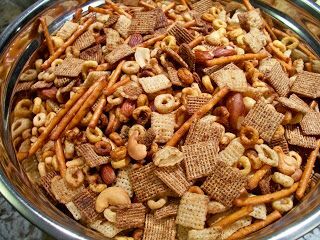 There’s traditional Nuts and Bolts snack mix, and then there’s Nuts and Bolts snack mix encrusted with grated cheese. Whatever Nuts and Bolts mix your family uses—and there are tons of recipes online if you don’t have one already—top it off with a nice dusting of grated Reggiano, Romano, or my favorite grating cheese, Belper Knolle. Last but not least, there’s the classic standby of all party fare: the cheese and charcuterie platter. You can pick up something pre-made from the store, or you can put together your own fine piece of edible art. For a meathead celebration like the Super Bowl, I recommend going with a flavored cheddar like Somerdale Red Dragon or Red Lion, a nice aged Manchego such as Artequeo’s 12-month, classic Cypress Grove Humboldt Fog goodness, an herbed Brie like Fromage d’Affinois with herbs and garlic, and a mid-range blue in the realm of Pt. Reyes Original or Jasper Hill Farm’s wondrous Bayley Hazen Blue. Surround your cheeses with a selection of salamis—think one Italian dry and one spicy or peppery salami—and cured meats. I like to go with a range of dry Serrano, smoky Speck, spicy Capocollo, and sweet Coppa. You can even add in some Landjäger or Pepperettes to gnaw on during those nail-biting moments in the game. To accompany your meats and cheeses, you’ll need some nuts, olives, and a spread or relish. I would go for a plain or herbed almond and a candied or caramelized nut, a five-type or other olive mix, maybe some Peppadew peppers, cornichons, and marinated mushrooms, and a good tomato jam or fig spread. Oh, and don’t forget to get the good beer. The cheeses on your table deserve only the best.